Do You Have an Extension or Torsion Spring System? 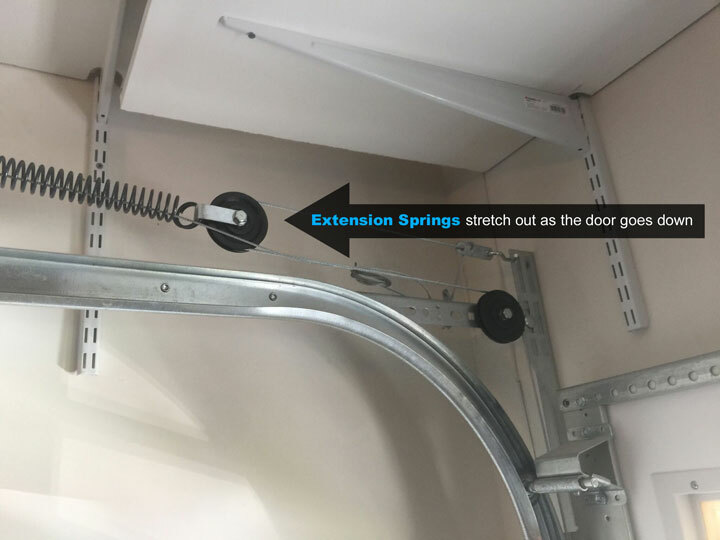 Extension springs, like the one pictured directly below, stretch out/extend/elongate as the door goes down. They have a cable and pulleys that transfer the pull of the springs to the bottom of the door. 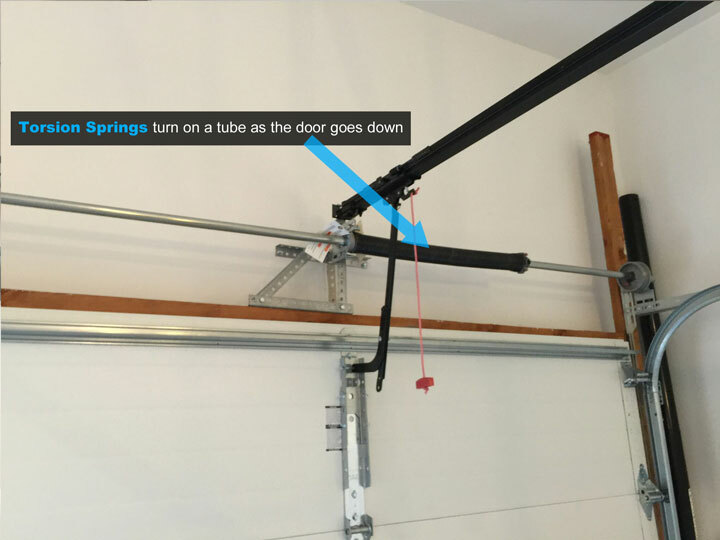 There should be a safety cable going through the middle of the springs, so that if something breaks, the spring does not fly around the garage. Torsion springs, like the one pictured directly below, are wound up and counterbalance the door by turning a tube. At the end of the torsion tube are drums that cables wrap around, transferring the pull (torque) of the spring to the bottom of the door. Doors Done Right Does Fast, Expert Repairs on All Types of Spring Systems. And we’ll tell you how much it will cost right over the phone! Call us anytime to book an appointment.